Do you love yummy treats? Well then I have one for you today using Snickers! 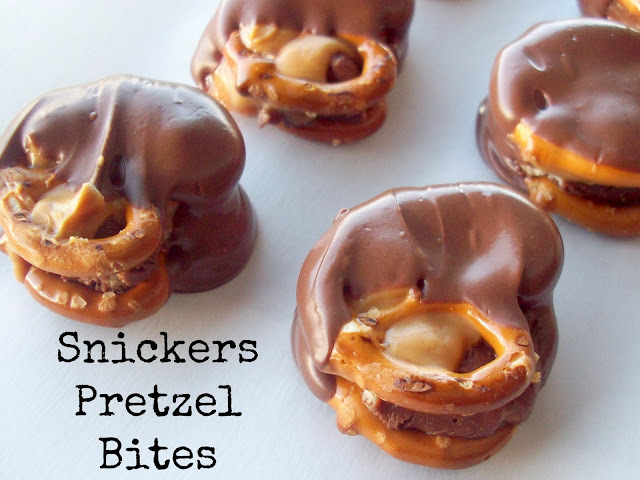 These Snickers Pretzel Bites are super simple to make and takes no time at all. Plus who doesn’t love chocolate? This is something we like to whip up quickly to enjoy on a lazy Saturday/Sunday while we are watching a game – these are great Game Day snacks! 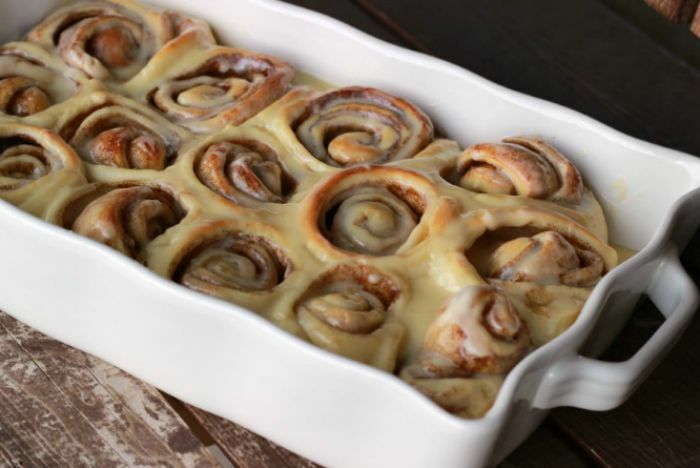 My kids also love to make this recipe and will sometimes make it on their own (except I help with the oven part) and we all think they are delicious. First Preheat your oven to 350 degrees. 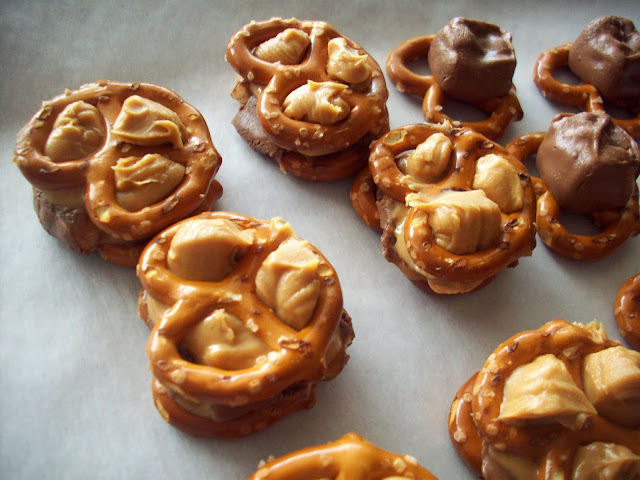 Place pretzels on parchment lined cookie sheet and put a Snickers bite on each pretzel. Once the oven is heated put the cookie sheet in the oven for 5 minutes. While baking take more pretzels and spread some peanut butter on one side. I used creamy peanut butter because that is what I had on hand but I think chunky peanut butter would also be really yummy for this recipe. When the 5 minutes are up take the cookie sheet out of the oven and while still hot place the peanut buttered pretzels gently down so they make a sandwich. Place in the freezer for a quick cool down. I put them in the freezer for about 20 minutes. Once they are cooled remove from freezer. 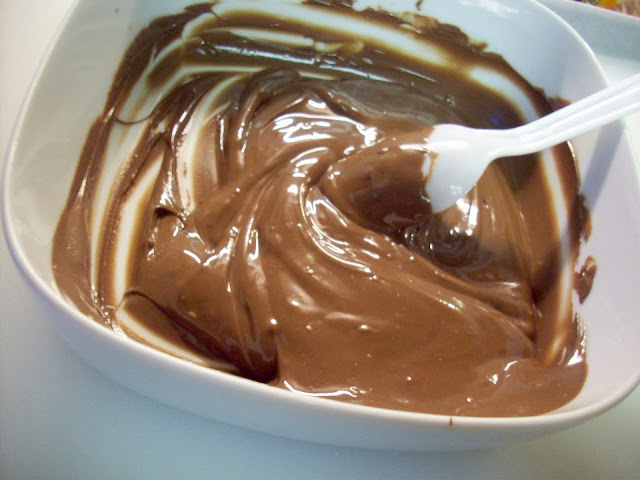 Melt chocolate chips in microwave (in a microwave safe bowl) for 30 seconds, stir, repeat another 30 seconds and stir. Your chocolate chips should be all melted – if not repeat with another 30 seconds. 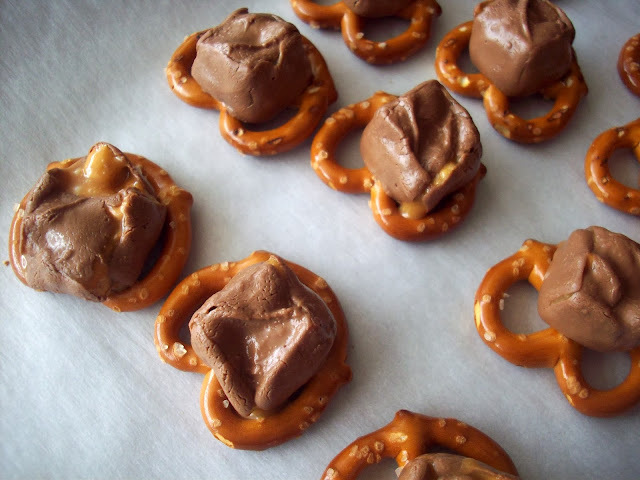 Dip your snicker/pretzel bite in the melted chocolate and place on another piece of parchment paper. Let cool and enjoy! 1. Snickers Bites – These little bites of Snickers are perfect for baking (and snacking). If you can’t find them in your store you can always grab them off of Amazon! I love shopping on Amazon. Everything is shipped directly to my door so I never have to get out of my pajamas! 3. Parchment Paper – I personally love to bake my items on parchment paper. I am always in a hurry and anything that can help me is awesome! I love lining my cookie sheets with parchment paper – makes cleanup even easier! Even though my cookie sheets are easy to clean and dishwasher safe I rarely wash them because the parchment paper keeps them clean. I also like using parchment paper because I can easily transfer my cookies by just picking up the parchment paper off the cookie sheet. 4. Cookie Sheet – This cookie sheet is an absolute favorite of mine! It is nonstick and is really good quality for such an affordable price. Because of the nonstick coating cleanup is a breeze! I just love that it is dishwasher safe. If you like videos I am sharing this video via video if you don’t feel like reading the post! The amount needed in the ingredients below really determines on how many or little you want to make. You can make a few or make a bunch! Place pretzels on parchment paper and one Snickers bite onto each pretzel. Cook in your preheated oven for 5 minutes. 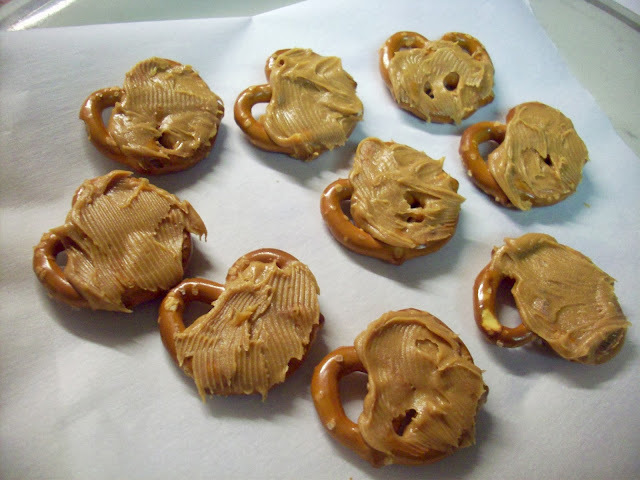 While those are cooking take an equal amount of pretzels and spread a spoonful of peanut butter onto each pretzel. When the 5 minutes are up and the pretzels with snickers come out of the oven press the pretzels with peanut butter gently on top to make a sandwich. Let cool. For a quick cool down I placed mine in the freezer for 20 minutes. Melt chocolate chips in the microwave. Cook for 30 seconds and stir. Do this until they are melted (usually only 2 or 3 times). 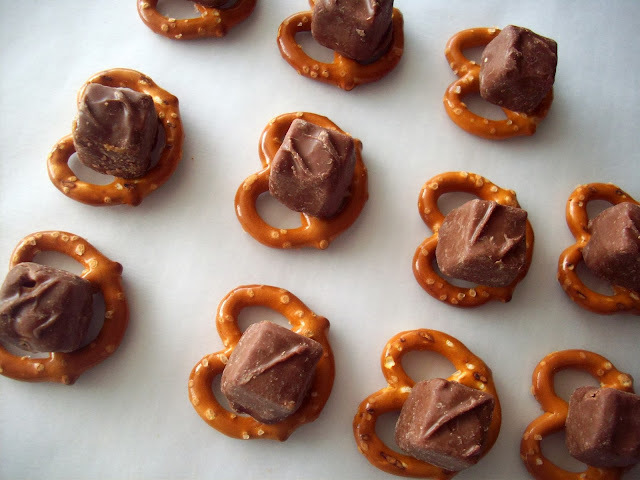 Dip your pretzels into the melted chocolate and place on parchment paper and let cool. 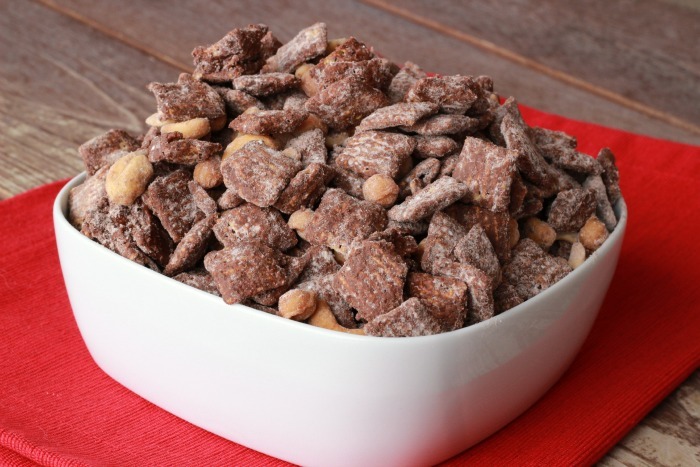 If you really like my Snickers Pretzel Bites recipe, you will also love the following recipes. I have pulled them together for you right here! Oh my goodness! Those look divine! I can’t wait to try them. These look amazing! Sharing on my Walking on Sunshine FB page today and would love for you to join our linky party on Friday on the blog! Thanks for the comment and sharing on your FB page – I appreciate it! I will keep a look out for your linky party on Friday! These should be illegal – so, I pinned them to my board “Food That Should be Illegal”! Cannot wait to try them, snickers are one of my favorites! Ha Ha! They should be illegal! I just love the name of your board – off to check it out! Thanks for the comment! OH wow!!! Snickers inside pretzels! That has my name written all over it! Putting these on the make soon list! Oh my word. WOW! What an amazing and perfect sweet/salty snack! I am going to make this for my next study group. Thanks Alissa! I just love the mix of sweet and salty – my favorite! oh my YUM! Those sounds delightful! So pinning. And, thanks for the coupon too! These look delicious! 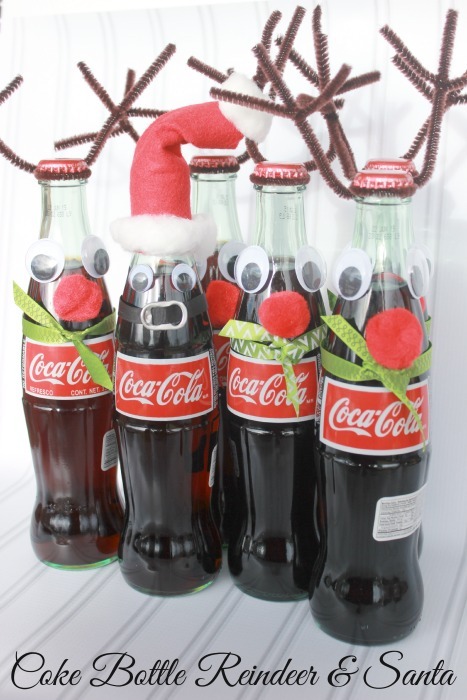 My kids would love making these with me! Pinned! Thanks Leanne! – My kids sure love these – thanks for pinning! These look really good! I can’t wait to try them. These look amazing! WOW! I am going to grab the ingredients right now. I think I HAVE to have them. Summer, these look SOOO yummy! I think your idea is brilliant. Thanks for sharing. No way. I am DYING over these!! YUM! Pinning! And thanks for the coupon too! You had me at… well, Snickers! MMMM.. those looks so great! I’ll have to make those for sure, they look super simple! Thanks for your comment Yvonne – they are super simple to make and yummy! Those look so delicious it makes me want to make them now! Thanks Stacie – I think you will really like them! Oh goodness! I love salty sweet combo’s and snickers happen to be my favorite candy! Looks good summer! Super delicious!! Pinning this!! Thanks for the recipe!! Oh man these look delicious! I love snickers, pretzels, peanut butter, and chocolate! Can’t wait to try! These look SUPER good! I cannot wait to make them with my grandsons! Thank you so much for the recipe! These look so good! And you make them look so easy too! I cant wait to try these! YUM! Ps.. Im going to feature these on my Facebook and Twitter page today! Thanks so much for the feature Kelly – so glad you like these!! I would gobble these up! I love Snickers. It’s such a great snack. These look really good for sure. Making these for my boy (he’s 16) for Valentine’s Day! Sound incredible. Pinned! Mmmm, these sound delicious! I totally have to try making these sometime. I’ll have to wait a while though because I’m currently trying to lose weight, but I can always stash this recipe away for later. Oh… my… gosh…. the picture with the peanut butter coming through the top… these look awesome. 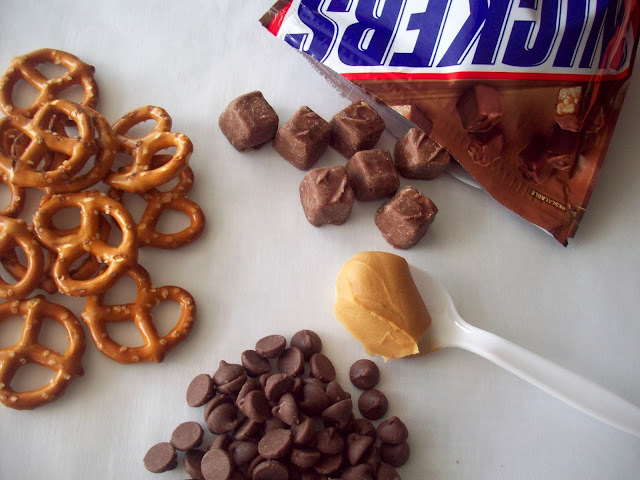 Snickers, pretzels and peanut butter… amazing! Easy and sweet? Perfect. Thanks for sharing! I’m pinning them to the Monday Funday pin board. Thanks for linking! Hey Summer, I saw these at the link party and had to come check them out for myself. They look so yummy and it would be fun to make these with my daughters. Pinning to try this weekend! Oh my these look absolutely delish! These look amazing! What a perfect treat to take to a party. Pinning! My kids will love you for this :). Ohhhhh these look so good, and sound like they would be seriously addicting!!!! YUM!!! Oh my! 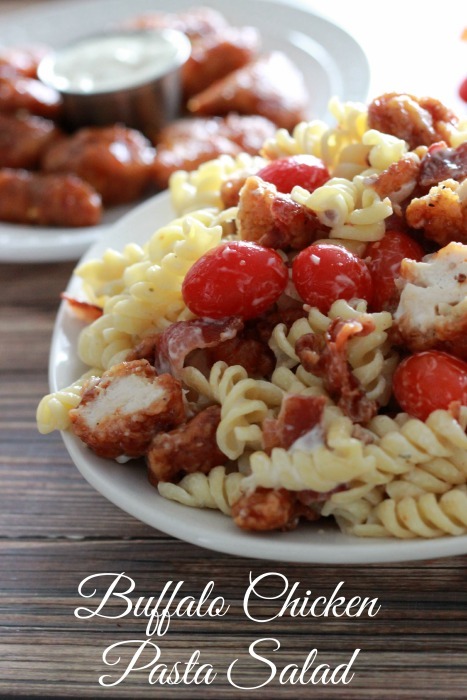 These look so good, I’m definitely going to try this recipe!!! Sami recently posted…Fruity Oats and Yogurt Recipe & GIVEAWAY! I should not be reading this nor looking at this pictures before breakfast! These look fantastic! Thanks for sharing. Pinning and sharing. Gentle Joy recently posted…Bobsled Run… Off the Deck? These look divine! What a yummy treat! Love this idea. Thank you for linking up at Snickerdoodle Sunday! Shared. 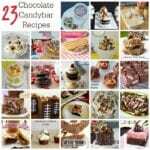 These look really good – I am sure one of my son’s and my husband will love them. Stopping by from Snickerdoodle Sunday hop. Wow, this looks really delicious and somewhat nutritious. I know my kids will love it. I can’t wait to try this snack. These were perfect for bridge party snacks! My hubby will love these for a little treat! !